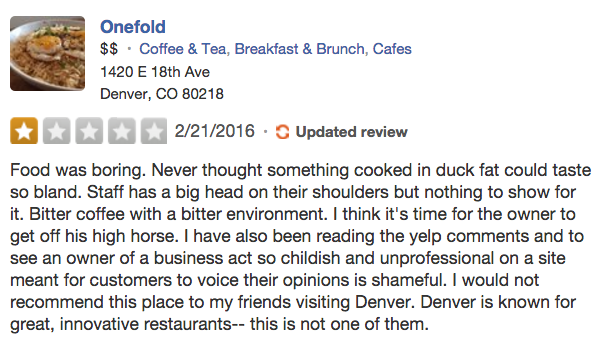 Of all the different markets in the world, few are as highly reviewed and publicly scrutinized as the restaurant industry. People love to share their dining experiences with their friends, family and social peers – and look to other people’s experiences to determine where they’re going to visit next. 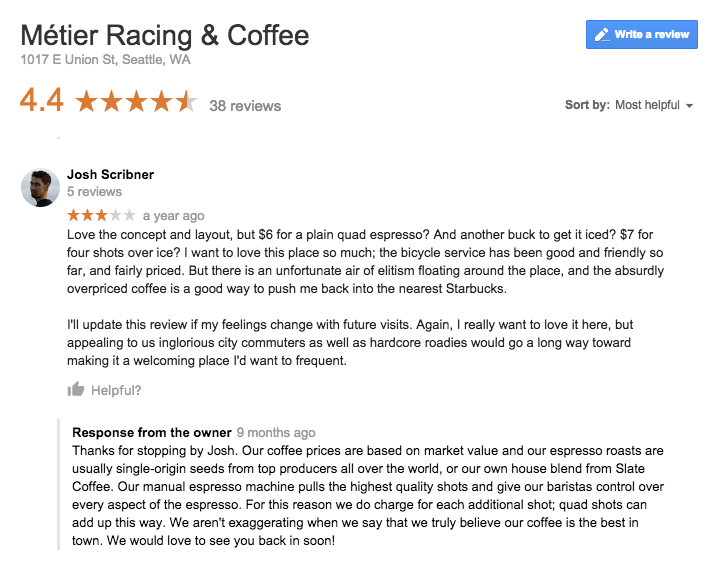 What few people realize is that online review management is a crucial part of restaurant marketing. 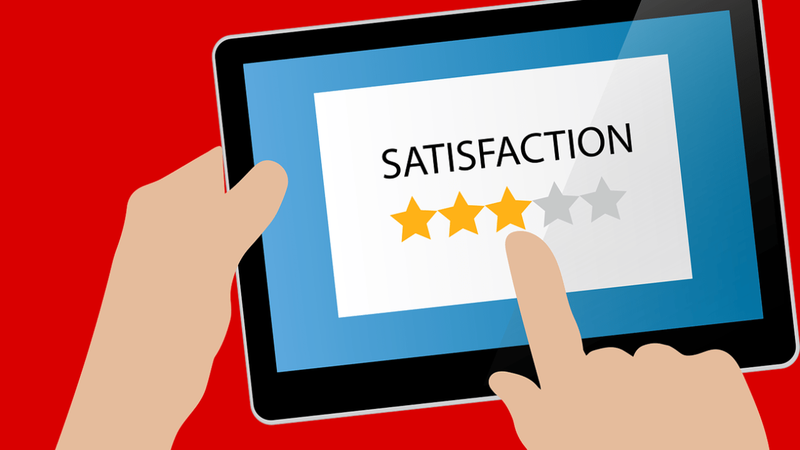 Why should you reply to positive restaurant reviews? 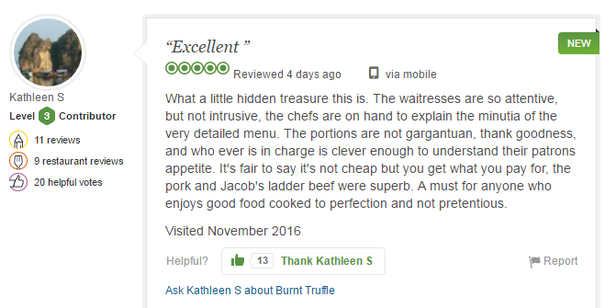 How to reply to positive restaurant reviews? Do take the time to thank them: Gratitude and appreciation will make your brand seem more ‘human’ and approachable. 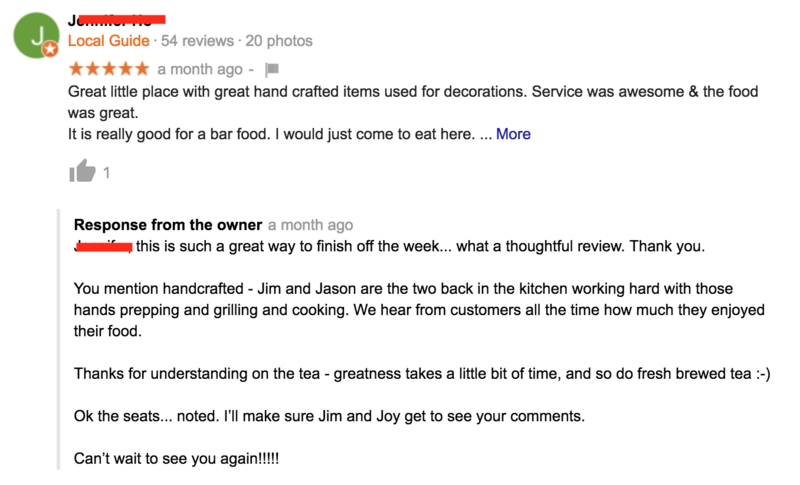 Do personalize your response: Look at what they’ve written in the review, if they’ve mentioned a particular dish or element of service, reference this in your response. Do answer quickly: Answering quickly shows you as being an active, engaged and caring brand, and will build more positive sentiment. Ideally, you need to develop a Review Management process and a Crisis Management template that outlines your procedures and gives your staff and team the tools to deal with the incident on a case by case basis. Don’t reply with copy/paste text: if people think they’re getting an automated answer, they’re going to assume you don’t care. Don’t ask them to contact you directly: they’ve already made their complaint known, it’s now up to you to act on it. Don’t just say you’ll ‘look into the problem’: Phrases such as this and ‘lessons have been learned’ do not sit well with the public, it will be assumed that you’re ignoring the issue and will do nothing. When you say you’re going to make changes, you must do it! Don’t just message them privately: Whilst it’s a good idea to contact the reviewer directly and address their issue, you also need to be seen to be doing it. Future customers aren’t going to know you contacted people privately – they’ll just assume you didn’t respond. Offering a simple apology and informing the reviewer that you’re going to contact them directly is more for the benefit to giving context to future customers than it is the reviewer of the time. Empathize: Understand that your customer’s mood will vary from moment to moment depending on factors outside of your control. Your guests are only human, and a bad day can make any of us act in ways we wouldn’t normally. Approach a situation with an open mind and consideration for the individual. Acknowledge: Let people see that you are aware of the problem. Send the unhappy party a private message to ask for more details and apologize that their experience hasn’t been to their expectations. Solve: Take steps to resolve the issue and let the individual know privately what has been done, as well as posting publicly. This may lead to their negative experience being forgotten, and the customer service converting them into a Brand Champion. Evaluate: Look at what went wrong, what happened and what you had to implement to change it. Are there any other similar areas of your business which could benefit from the changes you’ve introduced? Take this opportunity to refresh your procedures and bring your staff training up to date. Lynne Pratt is the Creative Content Director for Virtual Solutions, a boutique agency specializing in offering digital solutions and exceptional experiences for the Restaurant, Hotel and F&B Industries. Lynne has a BA Hons in English Literature and enjoys creating content which clicks.